I had the pleasure of seeing Freddie "Boom Boom" Cannon at Rye Playland in the 1990s. I don't think he played this one there. The Man in Black would have been 82 years old had he lived. He passed away September 12, 2003. In honor of his birthday here is him covering Bob Dylan's It Ain't Me Babe. Some weeks ago Scott Shannon left WPLJ after 22 years. 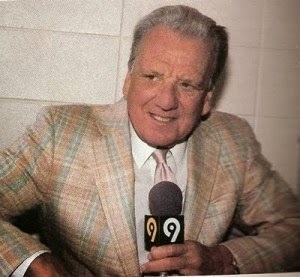 There was much speculation that he would return to New York radio on WOR. However, it was officially announced today that beginning March 3 he will become the new morning man on WCBS-FM. Dan Taylor will move to the 10 AM - 3 PM slot; apparently Ron Parker is odd man out. 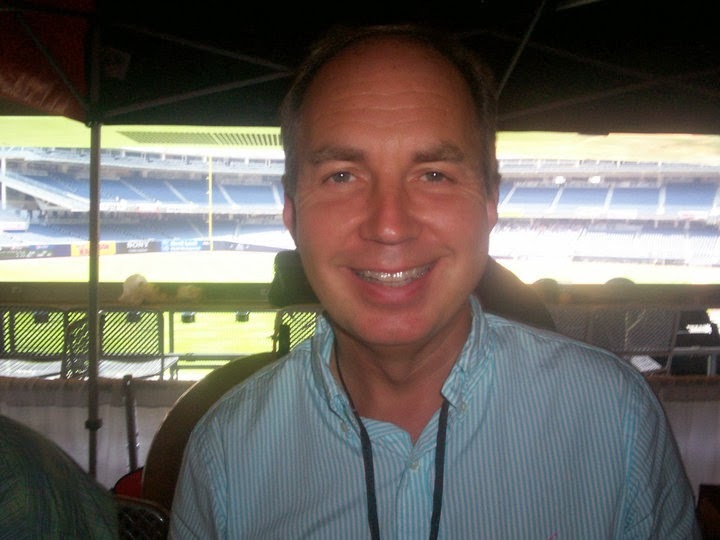 I have enjoyed listening to Dan Taylor since WCBS-FM returned in July 2007. His morning show was my ritual from when I woke up at 6:10 AM until I left the house at about 6:40 to start my miserable commute. 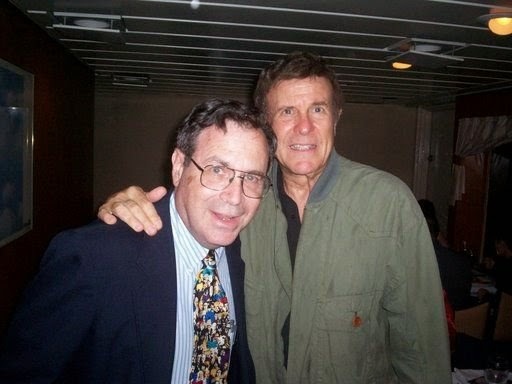 I had the pleasure of meeting him at the CBS Radio Day at Yankee Stadium in June 2010. I will try to listen to him from 10 AM - 3 PM. I never listened to Scott Shannon over the years as the music played at WPLJ was not my cup of tea. I listened to him a few times on the True Oldies Channel on 95.5 HD2. 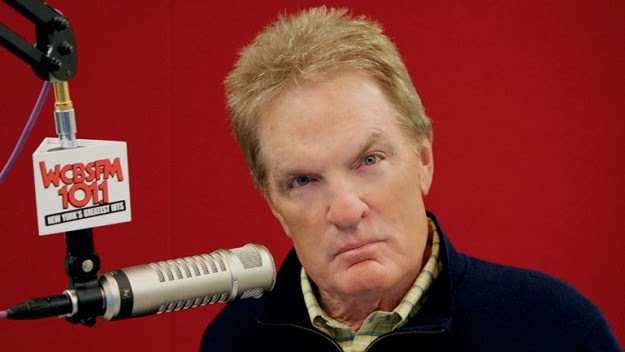 I think the management at CBS radio hopes that Scott Shannon will attract some listeners from WPLJ and make WCBS-FM more desirable to advertisers seeking the coveted 25-54 year olds. The worst thing about a root canal is that takes 5 visits to 2 dentist before the procedure is completed. The first two parts are done by an endodontist (specialist) while the last 3 are done by a general dentist. Today I was at visit #4. And just when you think you are finished with the dentist, he will find a new problem. I got to the dentist in Rego Park a little early so I had some to walk around the old neighborhood. I noticed there were three glatt kosher restaurants in the vicinity of Queens Blvd. and 67th Avenue. The Knicks are doing pretty poorly this year as their current record in 21-35. When I finish writing this journal entry I will join Karen who is watching the game. They are down by just 1 point at half time. At the end of the season it is likely that Coach Mike Woodson will be made the scapegoat and be fired. I really think the Dolans should sell the team. I hope that Patrick Ewing who has several years experience as an Assistant Coach will be the next Head Coach of the Knicks. However, it seems that superstars rarely become good coaches. I read that those turkeys Steve and Leanna at WKJY were reinstated today. I think I made my comments about this situation. There is still much speculation on the various radio message boards on where Scott Shannon will land. Some think he will be the new morning personality at WOR while others think he will end up at Fresh FM or WCBS-FM. Time will tell. It was about 50 degrees today in NYC as much of the dirty old snow melted. There is still a lot left as the piles that remain look really ugly. This is a sign that spring is coming, but we shouldn't get too excited since the cold weather will return in a few days. No more snow, please. Anyway it is time to plan to buy baseball tickets. We bought a 10 game package from the Mets and two single games for the Yankees. 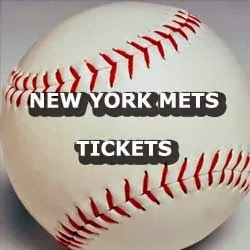 Our first game is Saturday April 5 at Citifield as the Mets will play the Cincinnati Red. 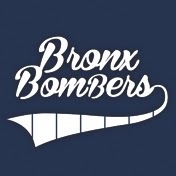 About a month ago I bought discounted tickets for the Broadway Show Bronx Bombers for March 15 at Circle in the Square. We usually take Lee to a show for his birthday (March 28) and thought this was a good show for him. Like me he is a big Mets fan but doesn't hate the Yankees. Yogi Berra is his favorite player. It was announced today that the show will end its run on March 2. Karen will go to the box office tomorrow to see if she can exchange our tickets for a show scheuduled before the closing. It did get at best luke warm reviews from the critics. Right now the sun is shining and the temperature will go into the 40s. There is a prediction of rain showers for later today. I think just about everyone is weary of the 55 inches of snow that we have received this winter. The biggest storm was about 10 inches, but these smaller snowfalls have added up. 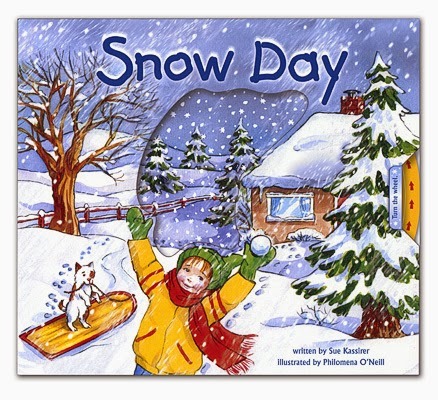 This morning Mr. G said that there has been snow on the ground for 30 consecutive days. He said the record is 56 straight days of snow on the grounds which was likely during the winter of 1995-96 when there was 75 inches of snow. Now the snow will continue to melt which creates different problems. Since the the melted snow has nowhere to go many puddles will be created. When the temperature goes below freezing these puddles will trun to ice. There is also the problem of ice falling from buildings. A story from NY1 states "Salt used for de-icing mixes with water, which then eats away at underground wires. It can make pathways electric, especially metal grates and manhole covers, a hazard that many dog owners say they're well aware of." A few dogs have died from electrical shocks. There will be pothole problems caused by the freeze-thaw cycles. In any event the winter is not over. There have been some very bad snowstorms in March in NYC. Steve Harper and Leanna Karlson on WKJY Should Be Fired for Deceiving Their Listeners. I have been an avid listener of terrestrial, satellite, and internet radio for many years and have enjoyed listening to many radio personalities. In recent years I have the pleasure of meeting several of them at the Oldies Meet and Greets that we've had in Manhattan. I always like to know that the man or woman behind the microphone is a friend who provides me with entertainment and helps me get through the day. 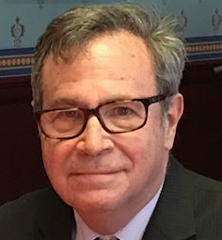 Please read read Jerry Barmash's fine article describing the deceitful stunt done by Steve Harper and Leanna Karlson of WKJY in Long Island. There is no need for me to repeat the terrible details. I call on the two of them to be fired iimediately by the management of WKJY. I sure there are plenty of fine radio personalities out there who just love to have a gig in a major market. I have no stake in the radio business, but I just feel the need to express my opinion on the unethical action of these two clowns. The station announced on Sunday evening that the two hosts were suspended. 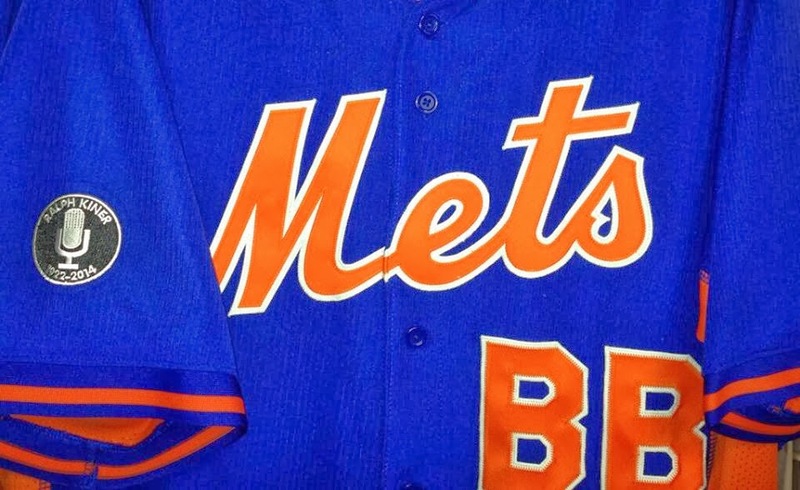 As you can see above the Mets uniform in 2014 will have a patch on the sleeve with a microphone and Ralph Kiner's name. The tribute will also feature a logo on the left field wall. I assume it will say Kiner's Korner. 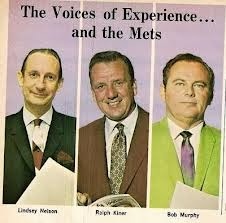 I think that next to the retired numbers there should be a microphone with the names Kiner, Murphy and Nelson who stayed together as a team during the first 18 years of the Mets' existence. Of all the storms that hit NYC this winter, today's has to be the worst. I received notification from NJIT last night that the school would be closed. This is such a bad storm, that it is likely that classes will be cancelled for tomorrow as well. I think in this day and age professors can give lectures that are missed electronically. I must respecfully disagree with the decision of the New York City Department of Education to keep public schools open. Back when I was in school I could either walk or talk a short ride on the Q60 bus to school. But many students rely on school buses and would have problems getting in. Likely less than 50% of students will come to school today. When I don't listen to the radio, I like to read about radio personalities and stations. There are very few books that discuss one particular radio station, but I found this one and downloaded it for my Amazon Kindle. It gives a detailed history of the station as it was developed by Jeff Smuylan of Emmis Broadcasting in 1987. It first came to 1050 AM as it succeeded country music station WHN at that frequency. Please see this entry for a review I did about a book on WHN. It did have a hard time when it first started, but it really took off in 1988 when it moved to 660 AM and Imus was made morning host after WNBC ended its long run at that frequency. The book discussed many of the personalities such as Mike Francesa, Chris Russo, Chis Carlin, Russ Salzberg, Kevin Burkhardt, Mark Malusis, Howie Rose, Steve Somers, Jim Lampley and many others. Some of these personalities have stayed with the station for many years while others have moved on to other media outlets. I was impressed with the chapter that discussed many of the regular callers such as Doris From Rego Park. She had phoned in during the overnight hours, so I never had the pleasure of hearing her phone into WFAN. There is also Bruce from Flushing who is not me. Some years back a neighbor asked me if I was that called to WFAN. Over the years I have listened to WFAN intermittantly. I usually only listen for 20-30 minutes at a time as umpteen calls about yesterday's game can get boring. I never phoned into the station as I have heard stories that one may have to wait up to 90 minutes to get on the air. I do think that regular callers don't have to wait very long. 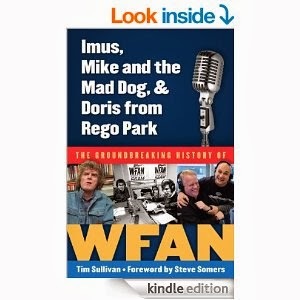 I commend Tim Sullivan for a fine job of documenting the history of the first sports talk radio station. I hope that somebody writes a history of WCBS-FM. Maybe after I retire I'll take a stab at it. 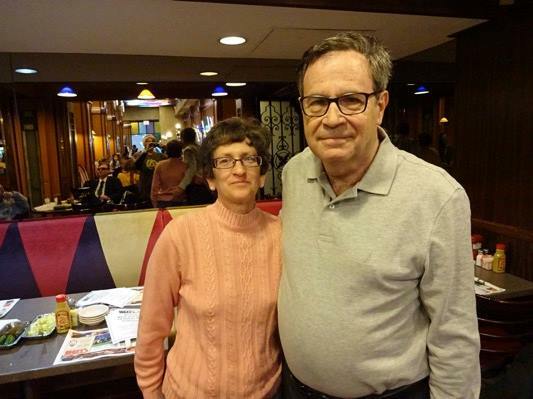 The Fest for Beatles Fans with a Surprise meeting with Art Shamsky of the 1969 New York Mets. It was 50 years ago toady, the Beatles came to America for the first time and appeared on the Ed Sullivan Show. Since 1974 there has been a Fest for Beatles Fans usually held in Secaucus, NJ. We went in 2002 shortly after the passing of George Harrison. This year it was held at the Hyatt next to Grand Central Terminal. It was a three day event. As we came in we were overwhelmed by the number of people there. Someone said there were 8,000 attendees. We started out at a room called the Cavern where there was a contest of amateur musicians covering Beatles songs acoustically. From there we went upstairs where there were artists showing their Beatles related this works. There were also memorabilia dealers selling rare recordings and videos. We unexpectedly encounter 1969 New York Mets star Art Shamsky. Who was selling his book and other baseball memorabilia. We bought a copy of his book which he autographed. He was kind enough to take a picture with us. Facebook friends Gary Fishbein and Fred Velez were at the meeting. I ran into Gary without a New York Mets uniform, but didn’t see Fred. We went to the Empire State Ballroom which was absolutely mobbed. There were people of all ages, but I think the late baby boomers like myself predominated. We saw a performance by Chad and Jeremy and an interview of Patty Boyd. Donovan gave about a 45 minute performance singing most of his hits from the mid to late 1960s. 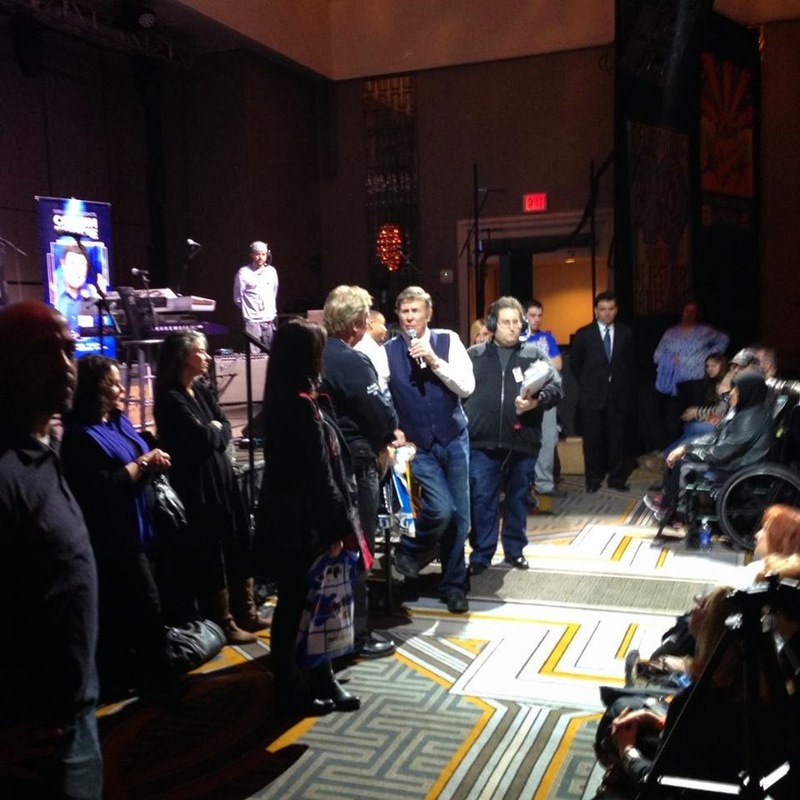 At 6 PM Cousin Brucie broadcasted his SiriusXM show from the fest. He interviewed several people from the audience who described their enthusiasm for the Fab 4. He also interviewed Donovan, Patty Boyd, and Chad and Jeremy. We left when his show concluded at 9 PM. There was so much to do and see there, but only so much time. We could only be at one place at a time. It is back to work today for me as NJIT was closed for snow on Monday and Wednesday. For the sake of the students I hope that the classes that were missed will be made up. I am working today from 11 AM - 7 PM as I am teaching a class to environmental engineering students from 6 - 7 PM. Hopefully there will be no problems on public transit as snow and ice can wreak havoc on switches. I am enjoying the Jeopardy Tournament with the big winners of the first decade of the show. It is interesting to see how the contestants have changed over 25 years or so. I must say that the questions during this tournament are extremely difficult. I am looking forward to the Beatles Fest on Saturday. I will certainly have a detailed account on Sunday. Does Arthur Chu Deserve This Media Attention So Soon? In watching Jeopardy since the Art Fleming days in 1964 I have seen many excellent players. Until 2004 a player had to retire as undefeated champion after 5 wins. Thus there were many players in the first 20 years of the Alex Trebek version who may have won many more games had there not been this limitation. Right now the show is airing a tournament of big winners from the first decade. As regular shows went on hiatus 30 year old Arthur Chu had won $102,800 in 4 appearances. He uses an unorthodox approach of jumping from one category to another. In the video below he is interviewed on CNN. But there have already been segments about him on the ABC Evening News and Good Morning America. I see him as an excellent player, but after 4 victories he has yet to proven himself as a superstar like Ken Jennings (74 victories) or Dave Madden (19 victories). There is so much luck involved in Jeopardy as to the categories that are selected and the competition. 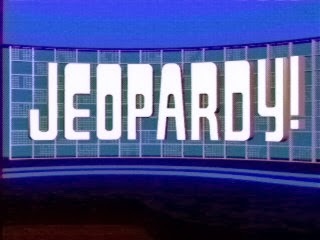 I admire Arthur Chu as a Jeopardy player, but let's see if he stands up to the test of time. I do feel the media has given him too much attention too soon. The game was one-sided as the Seattle Seahawks beat the Denver Broncos 43-8. Of course the commericals created a goo side show. 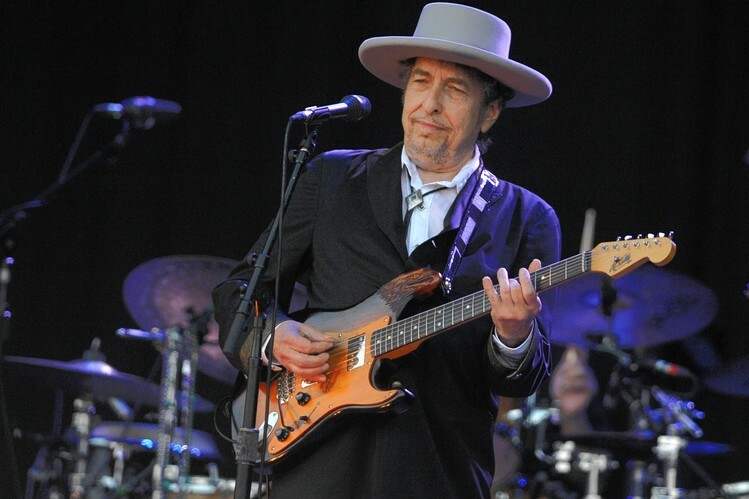 Bob Dylan starred in a commercial for Chrysler. I guess he has to keep busy while the Never Ending Tour is on hiatus. 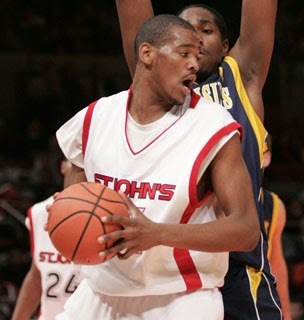 In the first game we saw St. Johns defeat Marquette 74-59 as D'Angelo Harrsion lead the Red Storm with 27 points. The locals lead almost the entire game and pulled away in the second half. In the second game Georgetown beat 7th ranked Michigan State 64-60. We didn't stay for the entire game since we were not interested in either of the two schools. More fans were in the stands during the second game as I must assume they were mostly alumni from the two schools living in the NYC area.